What is CryptoPokemon ransomware? And how does it implement its attack? 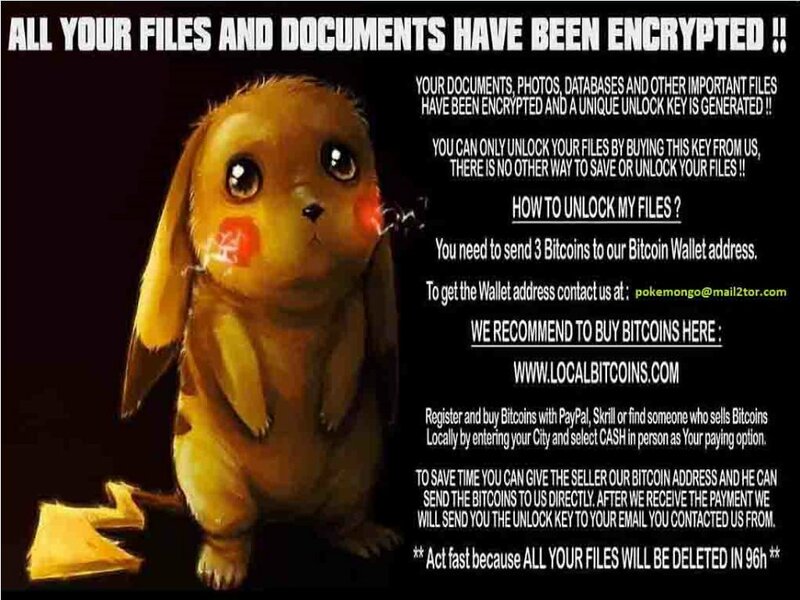 CryptoPokemon ransomware is a new strain of strain of ransomware that locks important files and demands a ransom payment of 0.02 Bitcoin which is approximately $104 at the time of writing. It was first discovered by IntezerLabs and according to security experts, it is a new variant of the PokemonGo ransomware. After it invades a computer, CryptoPokemon will begin to implement its attack starting with a data harvesting module that is classified into two main categories. The first one is responsible for extracting data from the computer that could reveal the identity of the users by scanning the system for strings like phone number, address, email address, real name, stored account credentials, and many more while the second one is the information about the computer’s hardware. 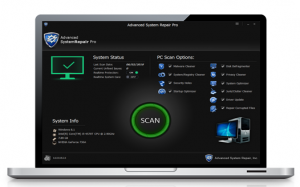 After the first module implemented, it then employs the second module, stealth protection where it uses the harvested information along with some malicious components in order to bypass any security programs installed in the computer. “All files on your computer are encrypted. Files have the extension CRYPTOPOKEMON. qaq94t64c45d3scd@openmailbox.org , saying this word “12356749412506806744”. If you hit this site, then all files are encrypted on your computer. You must be able to enter your computer ID. qaq94t64c45d3scd@openmailbox.org and describe your problem. Our valiant support will help you solve this problem. How is the payload file of CryptoPokemon ransomware disseminated online? The payload file of CryptoPokemon ransomware is disseminated via malicious spam email campaign. This method has been used by cyber crooks in launching massive spam email campaign against online users worldwide. In fact, crooks tend to disguise these malware-laden emails to make them seem legit and to lure users into opening them and downloading the infected attachment. This is why you need to check the content of the email first before you click on any link or download any attachment. And before you open any attachment, you have to scan it first to make sure that the file is safe to open. Obliterate CryptoPokemon ransomware from your infected computer with the help of the instructions laid out below and the advanced guide that follows. 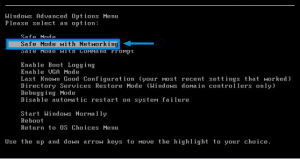 Step 1: First, boot your computer into Safe Mode with Networking and afterwards, you have to terminate the malicious processes of CryptoPokemon ransomware using the Task Manager and to open it, tap Ctrl + Shift + Esc keys. Step 2: Go to the Processes tab and look for the malicious processes of CryptoPokemon ransomware like CryptoPokemon.exe and then right click on it and select End Process or End Task. Step 4: Look for dubious programs that might by related to CryptoPokemon ransomware and then Uninstall it/them. Step 8: Close the File Explorer and tap Win + R to open Run and then type in regedit in the field and tap enter to pull up Windows Registry. Step 9: Navigate to the listed paths below and look for the registry keys and sub-keys created by CryptoPokemon ransomware. Step 10: Delete the registry keys and sub-keys created by CryptoPokemon ransomware. You can restore the files encrypted by CryptoPokemon ransomware by downloading this free decrypter from Emisoft. On the other hand, you can also use another alternative method to recover them using the Previous Versions feature in Windows but keep in mind that this method will only work if the ransomware threat hasn’t deleted the shadow volume copies of your files. To restore the encrypted file using Previous Versions, right-click on it and select Properties, a new window will pop-up, then proceed to Previous Versions. It will load the file’s previous version before it was modified. After it loads, select any of the previous versions displayed on the list like the one in the illustration below. And then click the Restore button. Once you’re done executing the steps given above, you need to continue the removal process of CryptoPokemon ransomware using a reliable program like Advanced System Repair. How? Follow the advanced removal steps below.